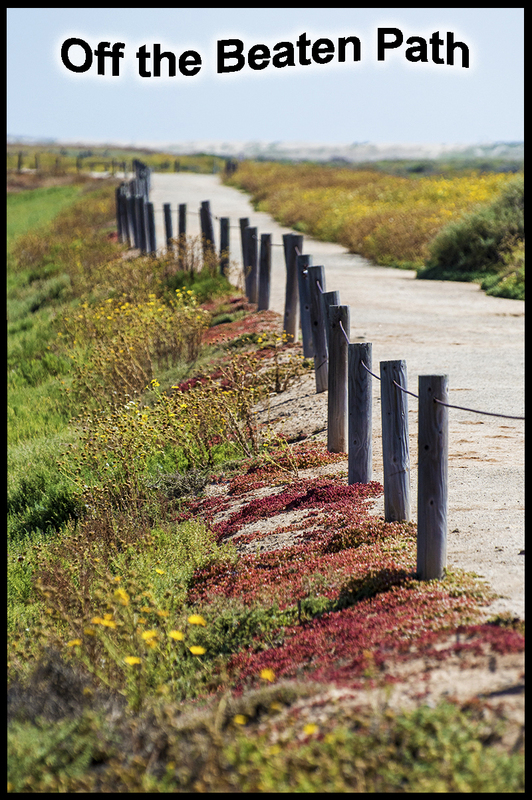 Since I have lived in Southern California for a good portion of my life, I have taken many a drive out to the Cabrillo National Monument. 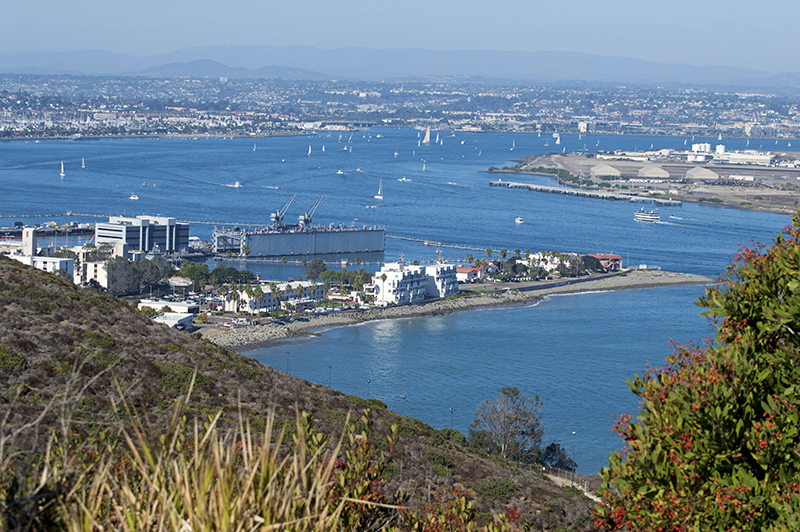 At the very end of Point Loma and right at the tip to the entrance of San Diego Bay, it is the perfect place to show your out-of-town guests spectacular views of San Diego. 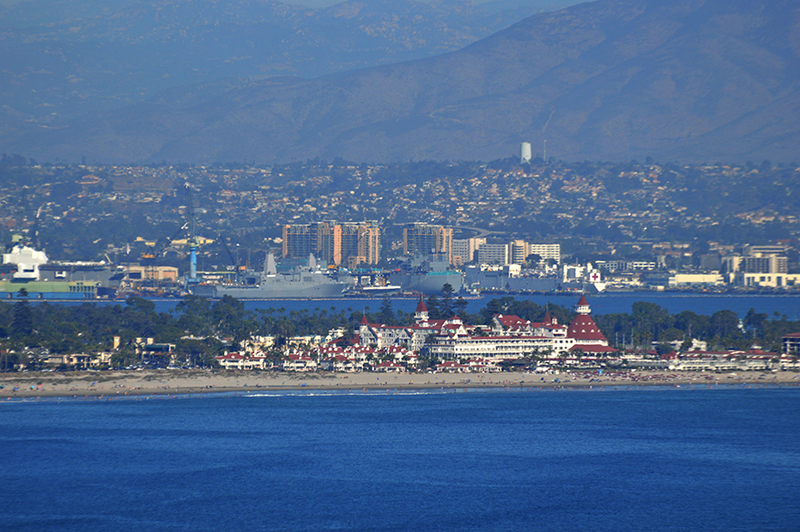 High up on the point, you will see many sights including the bay, the skyline, Coronado Bridge, and the Hotel Del Coronado. But it used to be free and now it costs $10.00 per carload to get past the main gate. Still not a bad deal if you share the cost with a few people. It is a “worth it” drive. 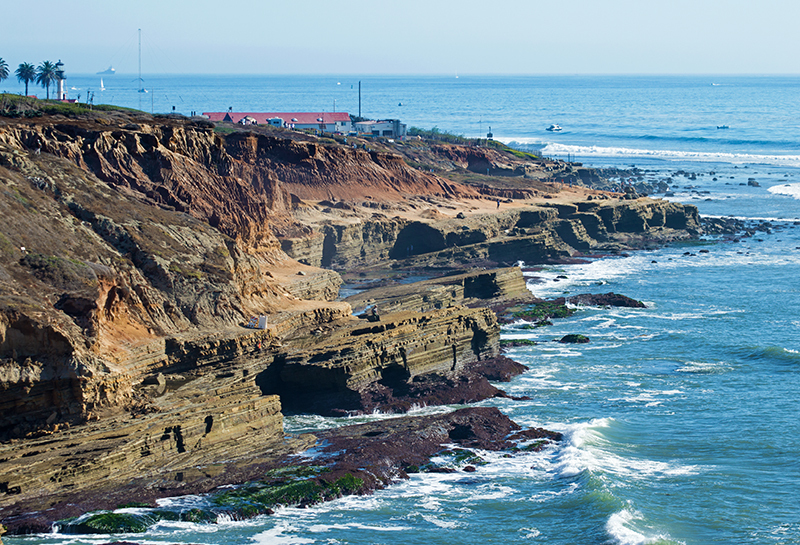 When I have visited here before, I was mostly intrigued with the view, the lighthouse and the tide pools. One time we drove down there for the heck of it and it happened to be the day that North Island had an air show. The planes flew right over us and it was quite an unexpected treat. Another time, we only went to the tide pools, another just to have a picnic, and another to check out the lighthouse. Since I would be writing about it, I paid closer attention this time and I was quite surprised to come across a 14 foot statue on the grounds overlooking the entrance to the bay. 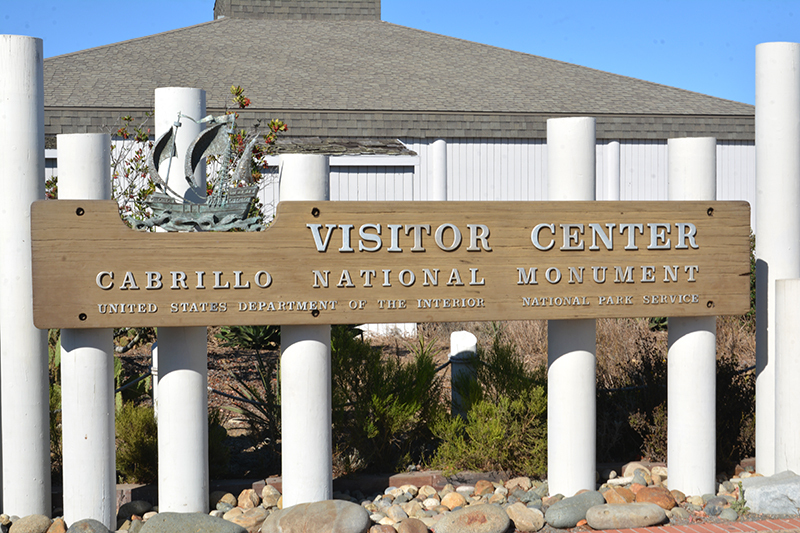 Oh, duh, this was the “monument” part of the Cabrillo National Monument, I had never noticed it before. 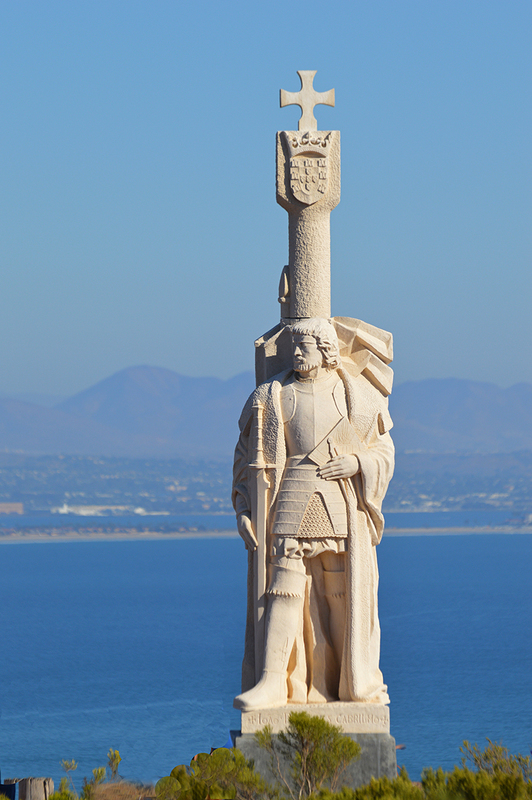 The statue of Juan Rodríguez Cabrillo stands tall over the very bay that he first sailed into on September 28th, 1542. 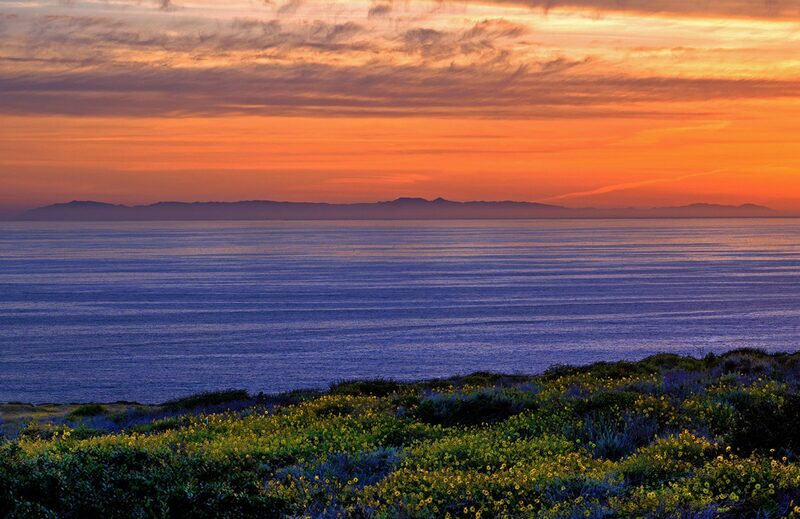 Cabrillo National Monument was established in 1913 to commemorate his voyage and discovery of the bay. At the visitor center they run a film that gives you all the details of this historic voyage, along with exhibits and books that are for sale. 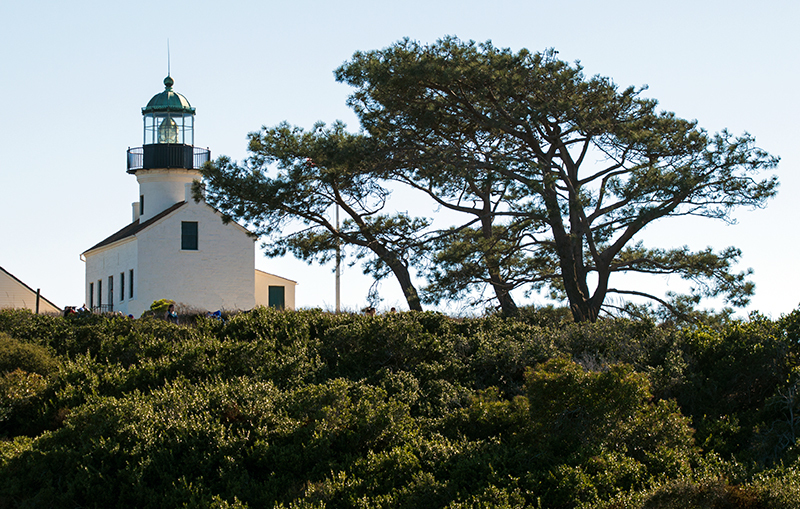 Once you have visited the statue and had your fill of the expansive harbor views, head up the hill a little to see the Old Point Loma Lighthouse, a San Diego icon since 1855. The lighthouse is now a museum and visitors can enter it and view some of the living areas. 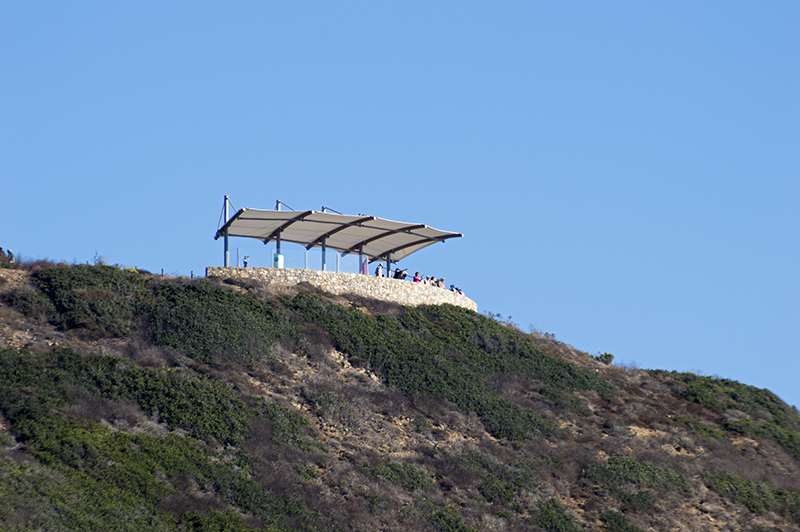 Close by, at one of the highest sections, there is a great observation deck that gives you a view of the Pacific on the ocean side part of Point Loma. You can leisurely sit there and enjoy the ocean breezes or watch over as the whales journey south during their annual migration. Just after the check in station as you are coming into the park or just before you leave, there is a turn-off road that takes you down to sea level and to the tide pools. I have been to the tide pools at optimum viewing times when the tide is low and you get to see all sorts of interesting sea creatures. When I used to come here, parking was never a problem but now it is lucky if you could find a space. It is well worth it though as this is a prime spot to explore the tide pools and the rugged coast is a spectacular sight. Bring your camera because there is that other lighthouse by the tide pools and on clear days you can see the Coronado Islands. The only downside is the tide pool closes at 4:30 pm. 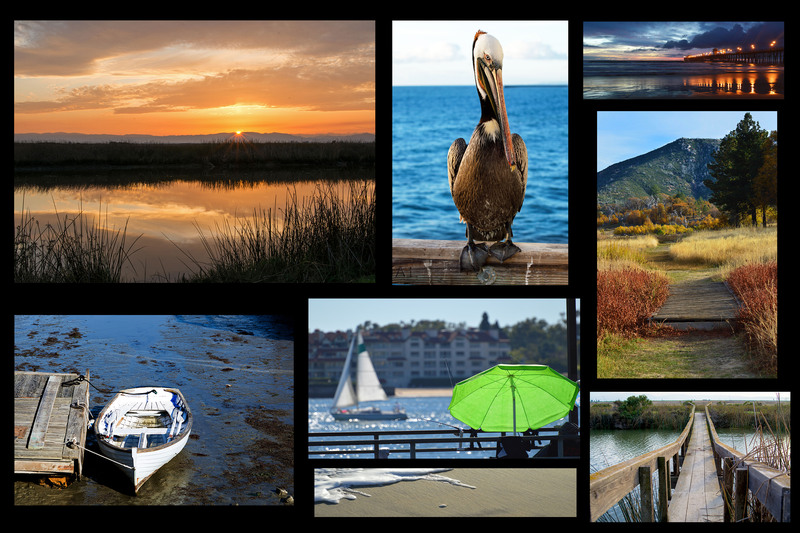 So think of taking a drive out to Point Loma, it is a must see if you are visiting San Diego and a fun staycation for us who live close by. Be sure and visit the statue as I feel bad about not seeing it before. I can’t be too hard on myself though as those amazing views are like a squeaky wheel making it hard for you to pay attention to anything else. However… there is so much more!